If you read American Police Beat, you already know that the Alhambra Police Dept. in California recently found a 150-lb. Tortoise and returned it to its owners. We had a great picture courtesy of that agency’s Facebook page on page 8 of the September/October 2014 issue. 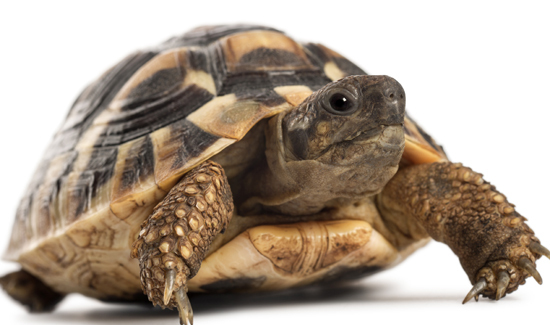 But now another tortoise has gone missing and this time it was stolen. According to multiple media reports, thieves allegedly stole a 130-pound tortoise named Diesel from a La Verne, California backyard. KNBC-TV reported that local police are trying hard to track down the thieves who stole the rare animal believed to be worth more than $1,000 from a California home. Diesel, a Desert Sulcata, was taken from the backyard of a La Verne residence in the early evening. Janice Rich, the tortoise’s owner, told reporters she’s worried sick. “He is our baby,” she told NBC Los Angeles.